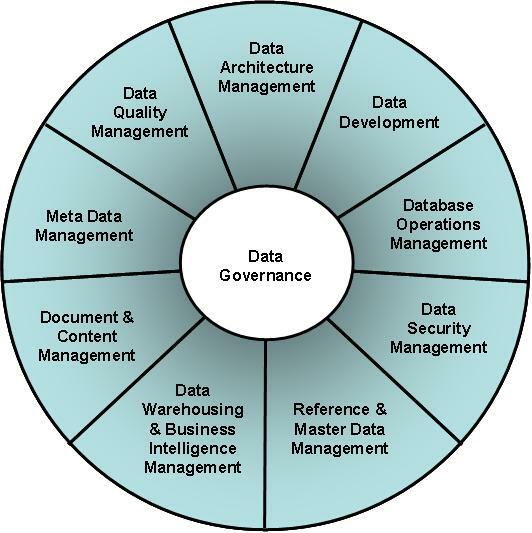 Data governance plays a key role in managing the data resource of the organisation. It is necessary in strategic data-related initiatives such as master data management, data consolidation, database re-platforming, and of course, enterprise-wide business intelligence (BI). A data governance program is quite extensive and hard to implement. My proposition here is that the implementation of BI through a well-structured BI strategy, while slowly building up the foundations for the data governance program – which itself only gets initiated at a later stage, can lead to mutual success of both programs. This is a highly summarised version of the paper I presented at the First Australian Data Warehousing and Business Intelligence Conference, held at the MCG in Melbourne recently. In order to improve data-related outcomes, organisations must address people, processes, technologies and change management in a consistent manner. The focal point for data governance is at the enterprise scale. More and more it is playing an important role in BI and EDW initiatives. For any organisation to implement enterprise-wide BI properly and cost-effectively, it needs to follow a BI strategy. The strategy documents the long-term plan of choices to achieve its goals, taking the anticipated environment into account. It covers how to make effective use of BI technology and best practices to improve BI implementation, in order to support the business strategy and goals and to provide the required information for decision-makers on all levels of the organisation. The whole BI environment, the related implementation and on-going running and maintenance processes are extensive and complex. The BI strategy addresses the infrastructure for the whole data warehouse environment, as well as the toolsets for data integration and ETL, data discovery, reporting, dashboards and various types of analytics, data quality management, metadata management, and more. There are many people involved whom have to be appointed and managed. There are processes that have to be defined, implemented and managed. The BI strategy evolves as the organisation and its implementation and use of BI matures and changes. Clearly such a strategy is too extensive to be defined in detail up-front, and it is even harder to have it signed off by all relevant stakeholders before implementing the BI program. Hence, the core part should be in place as the program is initiated, while the detailed part is fleshed out, refined and implemented as the program evolves. 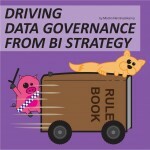 There are two very interesting correlations between data governance and BI strategy. * Technically not part of the BI program, but very closely related. A large number of the data governance initiatives are covered by the BI strategy as well. The second comparison is related to value. Many BI initiatives, if not directly contributing to revenue, are used to reduce costs or improve efficiencies. The value of the softer ROIs on BI, although hard to quantify directly, can also be gauged. Data governance, on the other hand, influences data outcomes, which in turn drives business effectiveness around decision support, campaigns, customer service, operations, compliance, and risk. However, those benefits are usually two degrees of separation away from data governance itself – they are often realised by the BI program when it operates under the appropriate governances, where the contribution is much more directly visible and quantifiable. Translated into decision-makers’ language, the business case for a BI program is much easier to make and justify than the business case for a data governance program. Because of the close correlation between BI strategy and data governance, it makes sense to initially incorporate the data governance functions into the BI program. In informal terms, you have a bigger chance of success with your data governance initiatives if you cook them into the the BI strategy at first. 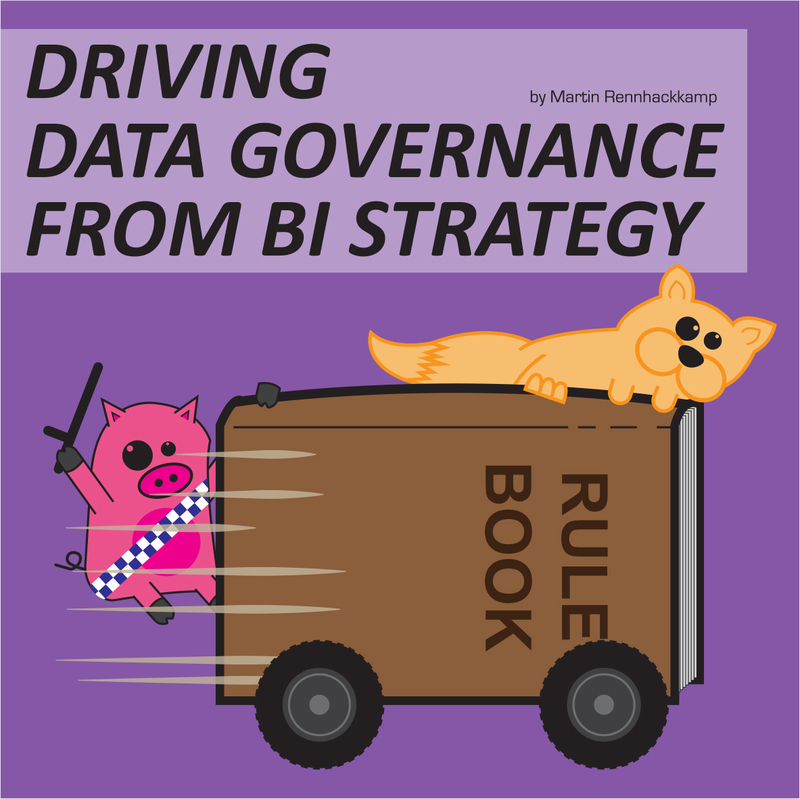 Almost every aspect of the BI strategy has some touch point with data governance; and it is these touch points we need to exploit to initiate, drive and build out the data governance program. For example, under BI Vision, our first touch point is scope. By creating a matrix listing the data subjects against the business areas, you already start the documentation required for data governance. Even for BI, it is useful to fill the matrix cells with create, read, update, delete (CRUD) type details, because that indicates where the data originates from and where in the business it is utilised. And so data governance is started – at an early stage without a separate budget, without a separate owner and without separate staff. When we define and implement our BI methodology, we spell out the business involvement, where their interactions are required, requirements provided, source systems that are accessd and their data contents provided, testing performed and finally signoffs obtained. A steering committee guides and prioritises the processes. These put some of the crucial foundations in place for the data governance program. You will already identify potential data stewards and future data governance champions. You can subtly start information education and convincing why a formal data governance program is necessary further down the line. So you can slowly tick (parts of) the boxes of the DMBOK data governance framework, and if done properly, the value of doing that will become clear to the organisation. A strategic business drive is initiated to get a single view of the customer, supplier, or other major data entity, which kick-starts a master data management initiative. A realisation that data quality is so bad that it affects the quality of the decisions being made. The replacement of a core transactional system. A change of marketing tack, for example to identify and market to households as opposed to individual customers. Introduction of a loyalty scheme across all business lines. Out-sourcing of a call centre. The strategic importance and prominence of such an event may just be the catalyst to formally spin off the data governance function. However, you have to be very aware of the organisational culture, especially on the executive levels – in some cases there may be such a tunnel-visioned focus on the new initiative that it may be the worst time to suggest spinning off a data governance function. In some organisations that golden moment may never materialise, or the decision to have a separate data governance function may never be approved. In that case, data governance should carry on being cooked in with BI. Data has become too important an organisational resource not be governed properly. It can be extremely rewarding to nurture a data governance program into existence and watch it take over and eventually have data managed as a key organisational asset. Even better if data governance succeeds right there alongside a successfully implemented BI strategy, because they feed off each other. Even being two steps removed, data governance can actually make a real difference to the bottom line of the organisation. Note that this post focused primarily on the data-related aspects of a BI Strategy and the data governance program. There are other important aspects to a BI strategy as well, such as the business alignment and the organizational and cultural strategy – to which the approach outlined above would also contribute to.